* CS6375 50Amp, 125/250V power inlet. * Six(6) NEMA 5-20 (20A.125v) straight blade duplex receptacles with circuit breaker and GFCI protection. * Each NEMA 5-20 outlet is individually GFCI protected. * One(1) NEMA L6-30(30A,250V) locking outlet with circuit breaker protection. * 50A, 125/250V power outlet. * FS series weather-resistant flip seal outlet covers protect each outlet. 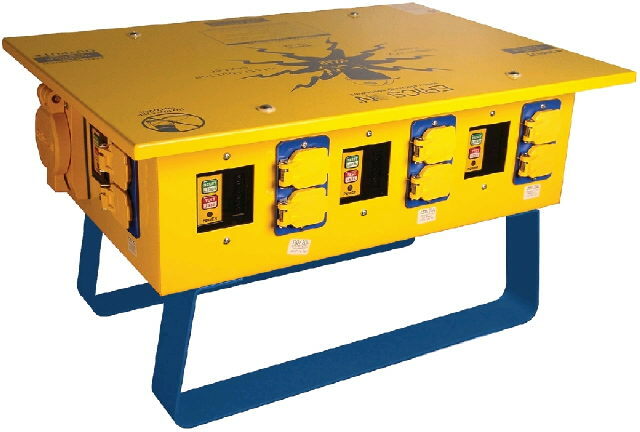 * Please call us with any questions about our generator 50a junction box for rentals in Tulsa OK and neighboring communities in Northeastern Oklahoma.